The Lighthouse brought to us by indie publishers Salt publishing made it on to the Booker long list even before it was officially published. I just liked the sound of it and ordered it the day it was released. At a little over 180 pages it is a fairly short novel, and yet it does pack quite a punch. I have a feeling that is a novel which inspires the kind of images that stay with the reader long after the book has been laid aside. Whether it becomes one of my favourite read of this year or not, it is one I’ll be destined to remember. It is an assured piece of writing. I enjoyed it (if that is the right phrase) a lot – though the reader is not allowed to get too comfortable. I do like novels that play around a little with memory, darting back and forth across the years and indeed decades – so that slowly the characters emerge from the shadows. The Lighthouse concerns two characters – both of whom the reader is forced to hold at a distance. This in itself serves to highlight their loneliness and separateness. Futh is a recently separated man in his forties. Travelling by Ferry to Germany to begin a walking holiday along the Rhine, he begins to think about the last time he took a similar holiday with his father when he was young boy. 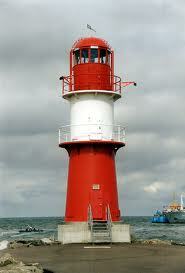 Futh is a lonely deserted man, carrying a silver lighthouse in his pocket. He has a keen sense of smell, and works in the reproduction of synthetic smells. Esther is the landlady of the first guest house on Futh’s tour. Married to Bernard, Esther drinks heavily, carries on with guests in the empty rooms, forgetting to lock her own apartment door; she likes to look through the belongings of her guests. Esther was once engaged to Bernard’s brother – until Bernard asked her to go away with him. Now she cleans the rooms and delivers cling filmed meals to guests at (the ingeniously named) Hellhaus – bright house or light house. The writing in The Lighthouse is spare and deceptively simple – there is in fact nothing simple about it – it is the kind of pared down writing that hides a multitude of complexities and leaves behind it an array of images and in this case scents. Upon closing this terribly bittersweet novel, the reader is assaulted by the memory of violets, camphor and cigarette smoke. There are several returning images and motifs in the novel, such as lighthouses, bathrooms, scents and abandonment which are beautifully explored. 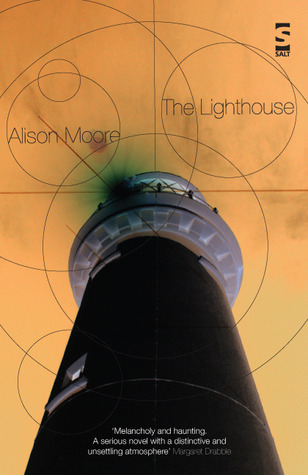 Although I believe Alison Moore has had some success with some short stories published in an anthology and on kindle, The Lighthouse is her first novel. It really is an excellent debut, and fully deserves to make it on to the Booker shortlist.